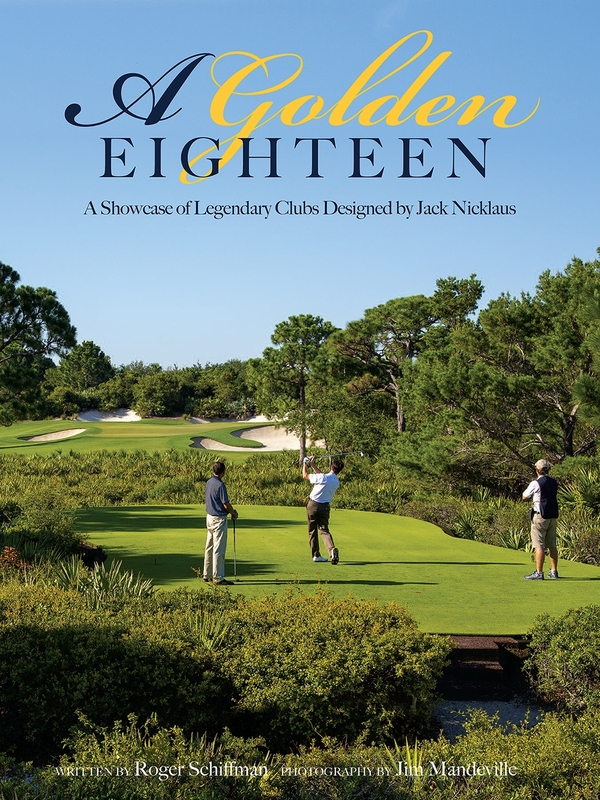 A new book, A Golden 18—A Showcase of Legendary Clubs Designed by Jack Nicklaus, is currently being published by the Legendary Publishing Group and will be available in the coming weeks. The beautiful, oversized coffee-table book highlights 18 premier Jack Nicklaus-designed courses spread across the United States. To preview the book, click here. The book is intended to be a literary and photo celebration of the clubs and communities that have achieved remarkable success due to myriad reasons, not the least of which was the impact of its centerpiece amenity—a golf course involving the design brilliance of Nicklaus. A Golden 18 ties in the unique life and lifestyle that surrounds these Nicklaus courses, as well as the success many have enjoyed on the membership, residential or tournament side. Not only does the volume feature striking photographs and compelling words detailing Jack’s golf course designs, it dips into his life and playing career, as well as presents an examination of the clubhouses, the membership, the history, the staff, the real estate and the lifestyle associated with these luxury venues. Never before has a book of this stature been produced that surveys these clubs in such detail.